Join the apprentices from Sacred Vibes Apothecary for a series of free herbal workshops at our partner garden, The Youth Farm. Learn about local herbs and make your own herbal medicine to take home with you! All workshops are open to the public, no registration required. If you have a question, please contact us! In celebration of the summer solstice, this workshop will introduce herbs and flowers that are abundant and useful in this time of year. From cooling herbs to plants that connect with the sun, summer and goddesses of fertility, we will discuss ways to work with midsummer plants. On this longest day of the year we will harness the energy of the sun to create and meditate with flower essences. Trauma endured from systemic oppression from white supremacy, patriarchy, and colonialism is passed on from generation to generation. In this workshop we will work with plants to heal ancestral trauma. Join us in working with plant allies in healing our ancestors and future generations. When our communities and individuals are constantly under attack, how we can heal and protect from cultural violence, daily micro aggressions, domestic and work related violence? 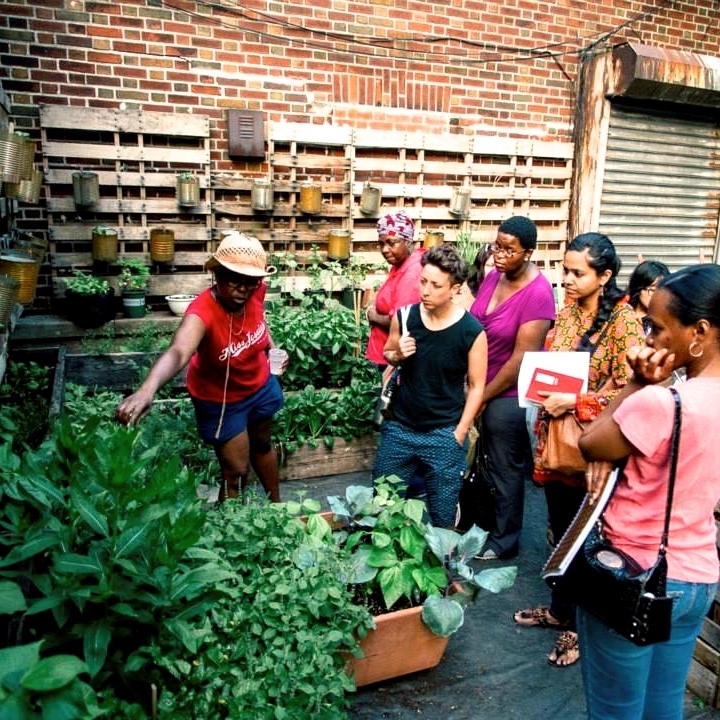 In this hands on workshop we will discuss herbs that provide protection and build up resilience in times of violence. Supportive herbs to ensure the care giver is cared for. A workshop for caregivers of all kinds - from people taking care of elderly relatives, to overworked parents chasing little ones, to people working in professions that center people. Come learn about herbs that can nourish and sustain you, as you take care of others. Who said medicine has to taste all bad? In this workshop, we will enjoy summer's sweet medicine by learning how to make herbal syrups, and sweet lemonade while utilizing herbs that support us specifically in times of stress. Do you tend to get sick when stressed? Want support from herbal allies to alleviate stress and their symptoms? Come join us for this hands-on workshop! In this workshop, we will learn how to use plants and herbs for setting new intentions during the new moon phase. We will work with lunar plants and the magic of the new moon to manifest our visions, wishes, and goals. Join us in creating new beginnings! In the face of local gentrification and global displacement, how do we ground ourselves both for our survival and our spirit? 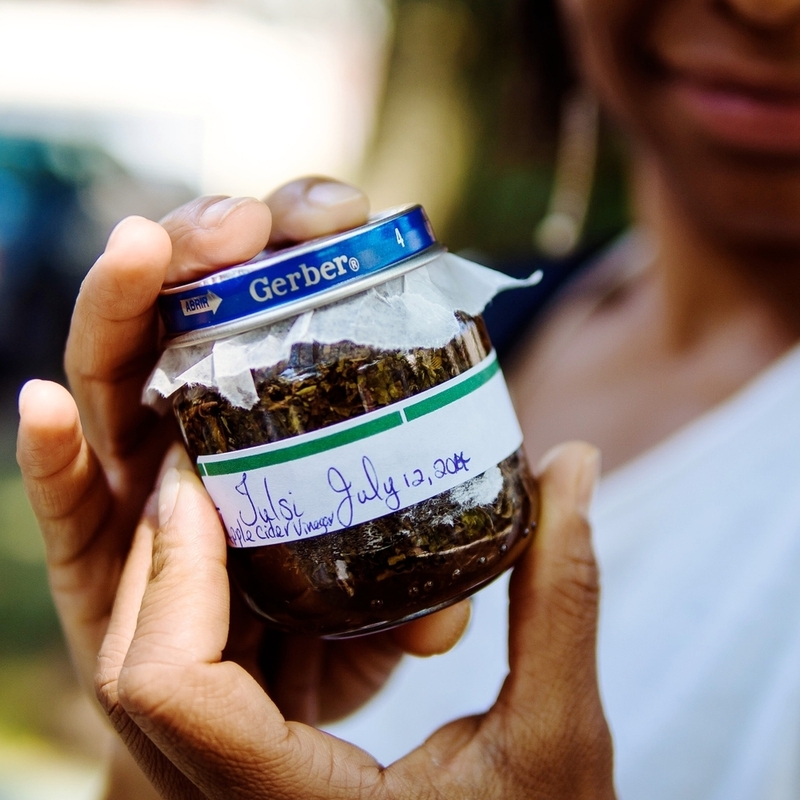 Through uplifting plant allies from the Caribbean, this workshop will explore how plant medicine can provide opportunities to connect with our ancestral lands as well as establish protective and grounding rituals.